The following news has been sent by Roger Davies who is coach to Ryan Pinder. At the Staffordshire FITA Star Ryan Pinder shot his first Gents FITA and scored 986 breaking the exisitng U14 Welsh Record of 875 set by Danny Clifford in 1999 raising it by an additional 111 points. In order to prove this was not a lucky score he replicated the exact score the second day. 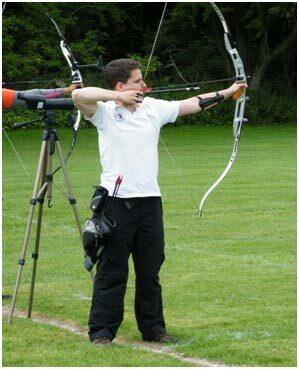 In addition to that he shot the 50 and 30 metres on a 10 to 5 zone target face which would not have been used when Danny Clifford set the record. Congratulations to Ryan on this achievement. 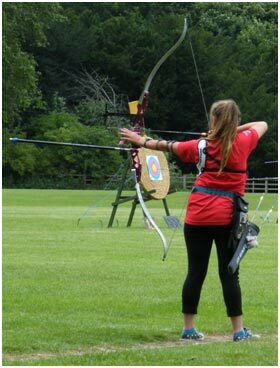 The 1st Junior Masters was held at Welbeck Archers, near Worksop on Sunday 4th August. There were two Welsh Archers attending Andrew Brimer shooting Barebow and Nia Simpson shooting Recurve. There was a 6 dozen ranking round followed by a head to head competition. Overall it was a great day and was well worth going but it was a long way! !